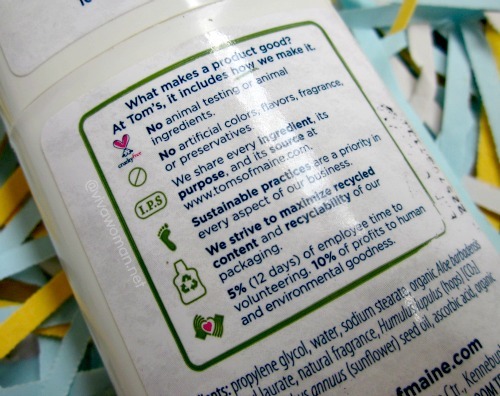 First off, Tom’s of Maine is based in US since 1970 and formulates products such as toothpaste, toothbrush, mouthwash, deodorant, dental floss, and soap that contain minimum artificial fragrance, colors and preservatives. The brand is against animal testing and using animal ingredients. 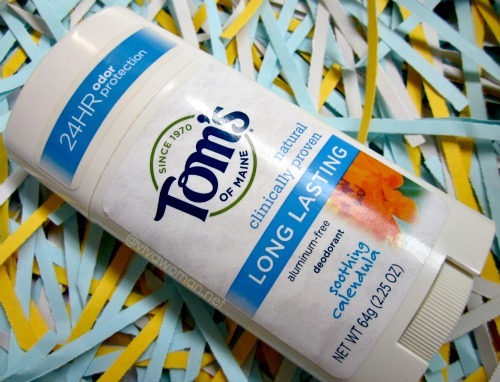 The Tom’s of Maine, Natural Long Lasting Deodorant is aluminum-free and described as being able to protect 24 hours a day! I thought that claim is really far too bold. Propylene Glycol, Water, Sodium Stearate, Aloe Vera (Aloe Barbadensis) Gel, Witch Hazel (Hamamelis Virginiana) Water, Glyceryl Laurate, Sage (Salvia Officinalis) Extract, Fragrance, Chamomilla Recutita (Chamomile) Flower Water, Lemongrass (Cymbopogon Schoenanthus) Oil. Tom’s of Maine, Natural Long Lasting Deodorant, Soothing Calendula has a pleasant, slightly lemony scent that most people will probably like. However, I don’t find it too effective for my armpits. In fact, I don’t feel safe wearing this out at all. 24 hours protection? Well, certainly not for me! It’s good as long as you don’t perspire but once you do, this deodorant is going to betray you big time and you’ll wish you’ve never used it in the first place. So I don’t know why there are so many good reviews on this product. I gave it a longer time to work, thinking that I may have been adjusting to the detox period but the performance never improved overtime. As a result, I can only use this at home when I’m less active. Even then, I won’t say this is long lasting as it certainly doesn’t offer me 24 hours protection as claimed. The price is quite affordable at US$5.63 but if it doesn’t work, then what’s the point? The Crystal Body Deodorant, which costs around the same price, is certainly a better bet for me. I agree with your review. I love the scents and that they are all natural but they do not last more than a few hours and if I’m working out and sweating a lot not even that. Yeah, too bad that this one is such a let down. Natural deos are hard to find in the market. After trying many of them and (get dissapointed most of the time), Soapwalla deo is still the best one out there. Never fails me. I don’t really like the Soapwalla one although it works better yes, plus it’s ex. I have been reading up your blog for natural organic products. I have ordered some items from iherb. Its been 3 weeks and i have not recieved my item. Whats your experience on their delivery?? It took me around 3 – 4 weeks for one shipment. Otherwise, the rest arrived quickly. Yes, Crystal Deo worked better for me too. I read online that apparently you can use magnesium oil and spray it on your pits. supposedly it helps reduce odor! haven’t tried it yet but seems interesting! Oh interesting! Gotta check it out. Guess maybe that’s why one of the readers commented about a product working well as it contains that ingredient. 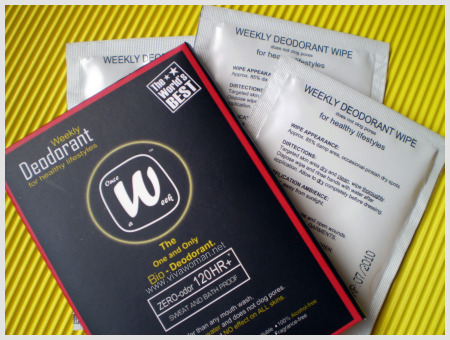 I’ve been looking for an alternative to those standard deodorants for ages. I’ve had BO since i was 12 and it has always been a problem for me. I gave the crystal deo stick a go and that too didn’t work as i was horribly allergic to it and it caused my skin to blister and pus. I ended up with burn-like wounds for a whole month. After that cleared up, i saw this bottle of Dr Mist at Watsons and decided to give it a go as the ingredients were only Water (Treated), Sodium Chloride, Calcium, Magnesium. Haven’t turned back since. Am on my 4th bottle. They’re really cheap too if you buy them from JB. Don’t know what magic they put inside, it just works. Best of all, it lightened the blackened skin that was left behind from my allergy to the crystal deo stick. I haven’t seen this product around…shall keep a lookout for it. Thanks for sharing! I agree! I introduced it to my aunt and she has really sensitive skin. The other deodorants she used before that darkened her skin. After using Dr mist, the skin lightened! Because Dr mist is a spray, I also use it to freshen myself and get rid of funky smell on my clothes after lunch. Hmm…sounds like Dr Mist is something to try. Hi – I was wondering if this product was put on in the evening before bed rather than the morning? I ask because I have read in the past to prevent sweating is to apply deo the night before rather the morning. Thanks and I love this blog!!!! Thanks for the review! 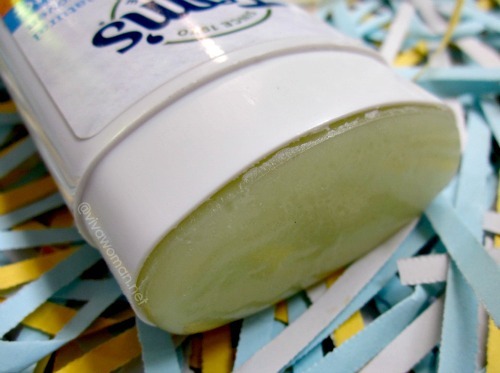 This is the problem with all natural deodorants. They just do not work. They maybe work, but for people who do not perspire. Who does not perspire? Nobody. Yeah, maybe children do perspire less, but we adults? It is a physiological process. Even Soapwalla, which has great reviews, does not work. It works for the first 2 or 3 hours, but then it starts to stink when mixed with the smell of my sweat. And, let me tell you that this smell mixture is not pleasant at all. Currently, I use Logona Deodorant for sensitive skin. 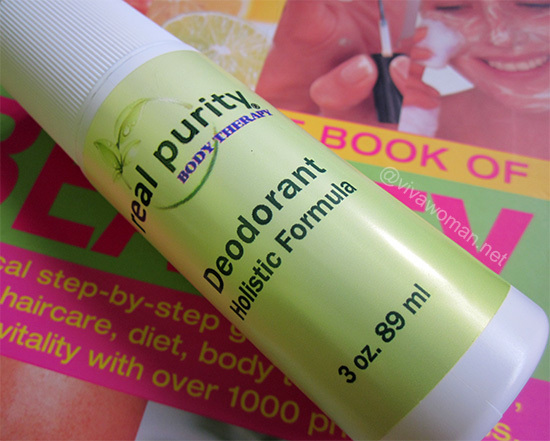 It is a wonderful German organic brand, and the deodorant is not bad. At least, it is better than Soapwalla’s deo because my armpits do not stink after 3 hours. 7 to 8 years ago I used to use Weleda’s deodorants, and I am going back to them when I finish this bottle. Weleda’s deodorants are not perfect, but somehow the best of all natural deos I have tried so far. And, I am a huge Weleda lover. Oh Weleda? Okay, I’ll go try them next. For me, so far I found my own formulations to work best…but the only thing is the tea tree scent is quite strong. P.S. I threw my Soapwalla deo into a trash can. Waste of money like so many other organic deodorants. I’ve gotten a great deo from skinfolk from Esty. I don’t know if you ever ordered from Esty but its addicting! The skinfolk deo ingredients are coconut oil,kaolin clay,arrowroot powder, aluminum free baking soda, beeswax, proprietary essential oil blend including ravensara and lime. It’s smells like lavender and lime and comes in a stick. I also like rainwater botanicals deo in the jasmine scent. Only drawback is they are pricy. I’ve never ordered any skincare products from Etsy…but glad this one works well for you. I’ll go check it out soon. 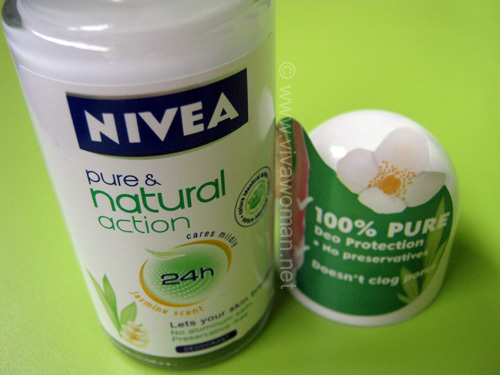 I’ve been using PitPotion by the Nature of Beauty store. I am happy with it. It keep the smell away, and when I checked in the evening, there’s no bad smell. I’m finishing on my current bottle and will need to restock soon. The only con I can think so, is that because it does have some baking soda, it may stain your clothes when you put it on. So, I usually wait a few minutes to let it absorb, and then wear my top. It is a little pricey, but it’s worth it. Taking 100 mg of chlorophyll a day will take out odor from from all over your body..breath, under arms, feet, etc. It takes three days for full effect. I’ve also read its useful for detox. Most of the sources on iherb get great reviews. This does not help with perspiration, however. I read about it but I understand the tongue gets all green and all? I don’t think I’m ready to take more supplements though.